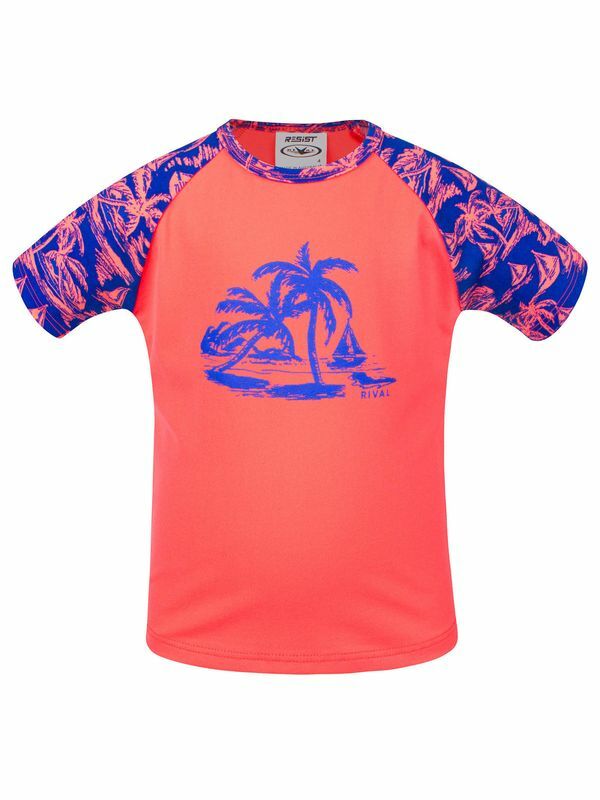 The Rival Madison Toddler Girls Sun Top is pink with a blue palm tree and sail boat on the front. It also features blue with a pink palm tree and sail boat patterned sleeves. This sun top provides UPF 50+ protection from the sun’s rays. Your toddler will love this colourful sun top.